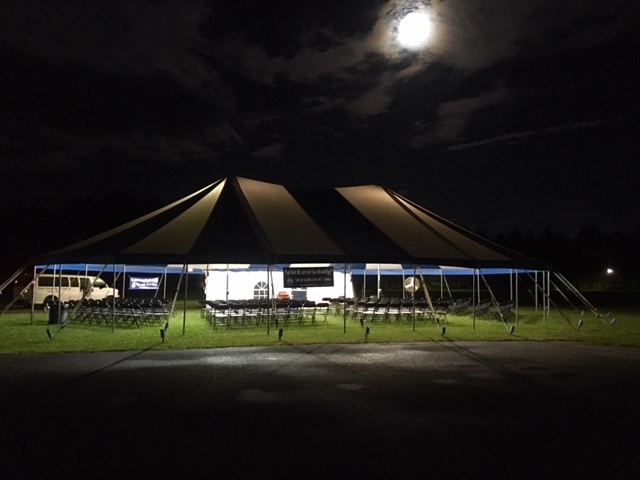 This has been an incredible Tent Revival in Richton, Mississippi this week. 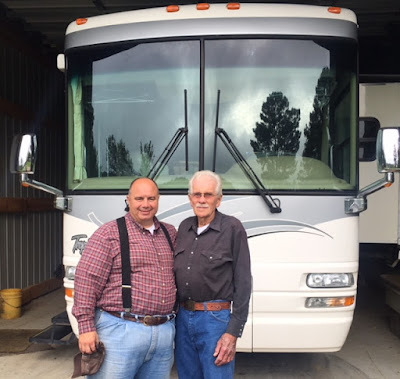 There is no way in the world I can properly describe the way the Lord has reached for people in the services and the blessings received by those that responded. I am loving it. We have dealt with rain most of the week. We are still dealing with rain. But folks came through the rain and the Lord blessed. I do not want to take chance with storms and such, but we can have church even with steady rain as long as it is not blowing water all under the tent and soaking the people and equipment. Thursday night the forecast was for a bit of lightning in the storm blowing through about 7:30 to 8:00 PM. As we were contemplating what to do, the deputy sheriff stopped by to make sure Bro. Scott knew about the storm too. Bro. Scott decided to err on the side of the abundance of caution and we canceled the Thursday night service. 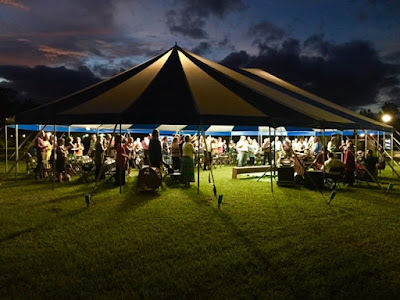 This has happened very few times in hundreds of nights of tent revival, so once in a while should be expected. Our average nights with NO rain is incredibly high, but sometimes the weather wins. It is supposed to be much better tonight. I posted pictures Wednesday of our first tent revival here in 2011 and today we have many pictures from tent revival this year. 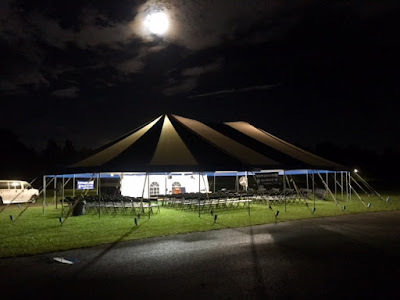 I hope you enjoy the tent revival in pictures. One of our many long time friends here in Richton is Bro. Brewer. He is always among the first in the church to welcome us back "home" and he often does it with tears in his eyes. He and his wife have traveled the USA in various RVs including the beautiful motorhome below. It is always a pleasure to listen to an old story or a new adventure. Bro. Brewer invited Bro. Scott and I over for a home cooked breakfast. Kelly Jo watched the tent while we ran over for a little while Thursday morning. He and Sis. Brewer laid out a spread before us that was amazing! Yes sir, that is T-bone for breakfast, one of the best I have ever eaten! Thank you, my dear friend. That was a morning I will never forget! 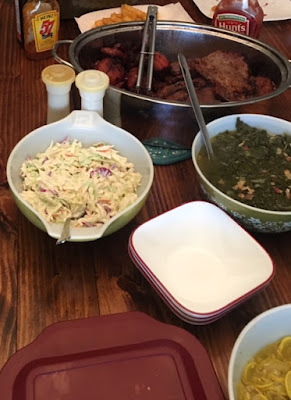 There are times when I leave the table when I feel like I am so full, I may never eat again. You know what happens, right? Yep, I get hungry in a few hours. That is where Sis. Kim Morris comes in, one of the best cooks in the whole wide world! "Rain, rain go away!" Did not work much most days this week. Thank you for taking time to read Mile Markers each day. I appreciate you stopping by.